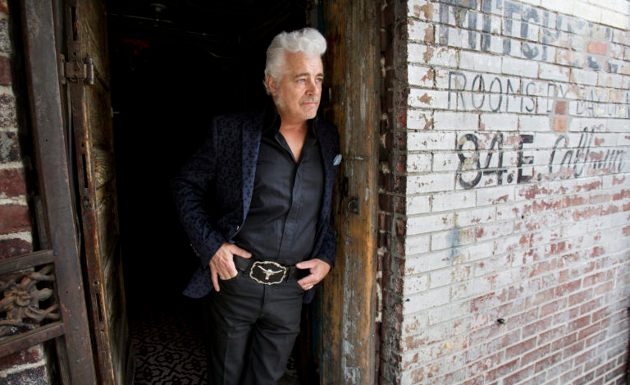 It’s been a long wait for a new album from the regularly prolific Dale Watson, who’s made a habit over the last decade or so of releasing records a clip of a couple a year. His last record of original material was early 2017’s Dale & Ray with Ray Benson. But the wait will be over on February 15th, 2019 when Dale will make his return on Red House Records with Call Me Lucky. What has Dale been doing this whole time? He’s been setting up a second home in Memphis, Tennessee, and that comes through on this newest record, which among other Memphis-based tie-in’s was recorded at the Sam Phillips Recording Studio, and includes some Memphis musicians such as W.S. “Fluke” Holland (Johnny Cash’s drummer), and a horn section on select track to go with his legendary 3-piece backing band, His Lone Stars. Though Dale still splits his time between Austin where he owns a home, he’s sold all of his interests in the bars in Austin and the surrounding areas, including “Big T’s” west of San Antonio. He then purchased Hernando’s Hideaway in Memphis to help give artists a touring haven in the town. Ahead of the album, Dale has released the very Memphis-inspired “The Dumb Song” (listen below), which features W.S. “Fluke” Holland on drums (and shouting “Yes!” at the end). He wrote “Call Me Lucky” while thinking about two dedicated lady fans who love to take their picture with each kissing Dale on the cheek each time he rolls through town. “Haul Off and Do It” is a song he’s been featuring live for a while, and “You Weren’t Supposed to Feel This Good” is about fellow performer Celine Lee. Call Me Lucky can now be pre-ordered, and will arrive right before the 2019 Ameripolitan Awards in Memphis on Monday, February 25th. Nothing beats a new Dale record! Just listen to this track, WS Holland bangin’ out a JC train beat, Pawlaks steel guitar cuttin’ through, that glorious telecaster ringing out the twang and Dales voice in echo induced splendor. Clearly a nod in sound and style to Cash. Love it. Just caught Dale for the umpteenth time, down in Texas playing Twin Sisters Dance Hall. Great performance as always. He’s a treasure. New music from Dale is always a good thing! Guy, Billy Joe, Steve, Dale and Robert Earl have been my top 5 alt country/Americana Texans for 20-plus years. At least the last three are still here and doing it. Of your list, only Guy Clark is not around. Billy Joe Shaver is 79 years old and still making music! Unless his Steve is Steve Young or Steve Goodman. Clark is the only one of those whom I unfortunately never got to see. I saw Shaver at the Bottom Line, with Eddy and at the City Winery, as a solo. I Googled him and can’t find any indication that Billy Joe is still making music (though perhaps he will again). One of the pure country voices. Love all his stuff. Missed him last time he came through. Can’t make that mistake again. Dale always brings the goods. No compromise. YES! Christmas came early! Go Dale! Who’s the hottie on that album cover? Thanks. Just discovered that Dale is performing in my city later this week!! Time to catch up as it has been several years since I last saw him. Always a great show. Or maybe not… Email from Bandsintown conflicts with venue’s calendar. Hmmm. Just caught Dale’s show at the Continental Club before Thanksgiving and it was great just like I knew it would be. He took us down the wine song wormhole and played nearly anything asked of him. All this for $7? And by the end of the night, he is playing strong to 10 to 15 of us who remain from a mostly full house. I contrast that with the Slaid Cleaves standing room only show for $25 at the Saxon that was a fine long hour but…. Just not sure I will ever understand that disparity. Excellent! Dale is still one of the best and a true Austin treasure. 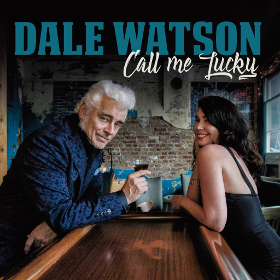 New music with my favorite Dale Watson is always good news! I’m gonna have it, call me lucky too.